Hello there! Welcome to our new #iPhone7 and #iPhone7+ post! We discuss 10 iPhone 7 issues and solutions in this material. We hope you’ll find it helpful. Solution: Hi Andres. Both iPhone 7 and iPhone 7 plus don’t have three speakers. They only sport two, one in the earpiece and the other at the bottom right side. The bottom left side holds the barometric vent. It’s mainly not related to audio function at all as it’s a sensor to measure altitude. So, there’s no need to panic and simply enjoy your iPhone 7.
when ever i make call, sometimes it is working fine. But for some contact i always face same trouble — no ringing, no voice. If that person pick up the phone I still didn’t get his voice. But if that person didn’t pick the phone or phone is switch off, then i hear from phone that phone is off or the party is not receiving the phone. I really don’t understand what is wrong with this phone. I just got this phone on 2nd Jan 17.
whenever i make calls and put call on speaker mode, i always hear noises from my phone like if i say hello it is repeating same like ‘hello hello hello.’ If i say not well the also not well not well not well.. Solution: Hi Pawan. We think both issues are related and may be caused by one and the same thing. Let’s see what you can do in this case. Double-click the Home button to see your most recently used apps. Swipe right or left to find the app that you want to close (Phone). After force closing the app, try to see if calls will begin working normally. If you’ll encounter the same problem, proceed to the next step. If calls continue to be problematic, look for a similar app from the App Store and use it to make your calls. Try to record your voice for up to 30 seconds. Listen to your recorded memo. If there’s no problem with the microphone, you should be able to hear yourself clearly. If it’s otherwise, then you have a bad microphone and you need to have the phone repaired or replaced. Create a backup of your files. You can do that in a number of ways but the fastest and most effective way is by using iTunes in your PC or Mac. If you don’t want to create a back at all, you can simply erase everything on the phone by following the steps in this link. Once you’re in the Summary panel or screen, select the option that will restore your device (Restore [device]). My iPhone 7 speakers are messed up. Only about a week after I got it, I was watching a video when my bottom right speaker stopped working. My left speaker never worked, so I wasn’t worried. But now whenever I listen to music, only my left ear works. Solution: Hi Callie. As mentioned above, an iPhone 7 has two speakers to allow it give a stereo effect. This stereo effect is automatically enabled if the phone is on landscape position (on its side). You can however override this automatic feature to direct sound to only one speaker (Mono Audio). Your observation is normal though as music only plays via the bottom right speaker when your phone is on landscape mode. When in Portrait mode, music plays via the top speaker. Scroll down to the audio volume balance slider and move it fully to the left or right. If you want to use Mono Audio, simply enable it. It’s located above slider. Hi. I just purchased an iPhone 7 two weeks ago from metroPCS and my iPhone was working perfectly until about 3 days ago when the new update popped in my phone. I chose to start the update and immediately my phone started acting crazy. It was on about 30% battery charge but was plugged into the charger. Once the update started the phone went black and then the white apple screen came on but it didn’t have the loading bar and front that point on the phone. wouldn’t stop coming on and off. It would constantly show the Apple screen, then the dead battery screen non-stop. Now the phone won’t charge nor turn on. The only thing that happens when you put it on the charger or try to restore is the Apple screen. Then it will cut off and show the dead battery charging screen but it won’t charge. Solution: Hi Chynasti. An issue like this can be caused by bad software, problematic app, or malfunctioning hardware. Unfortunately, there’s no easy way to tell which is which. The only effective method in bringing back the normalcy of a rebooting iPhone is the restore option. If your phone won’t even load properly to allow you perform the steps to restore it, then your best option is bring it back to Apple. There’s no software trick or hardware button combination that can help you in this case. Solution: Hi Rubyslippars. Importing photos from your iPhone 7 to your Mac requires iTunes. Make sure that you run the latest iTunes version in your computer. Once you’ve taken care of that, you should then connect your iPhone 7 to your Mac via a USB cable. After that, you want unlock your phone by putting in your passcode (if applicable). If prompted, make sure to designate your Mac a trusted computer. Once you’ve tapped Trust, make sure that you also tap Continue in iTunes. Disconnect and reconnect your iPhone from your computer. Restart your iPhone and your Mac. Reset the Trust settings in your iPhone by going under Settings > General > Reset > Reset Location & Privacy. You can also go under Settings > General > Reset and tap Reset Network Settings to reset all wireless settings like wifi networks and passwords, APN, VPN, and cellular settings. Sign out of your iCloud account (if applicable). Now that your phone is running only its stock and official firmware (we assume your device is not jailbroken), let it be that way for 24 hours and observe it. Don’t install any apps to it. This way, you’ll know if the battery drains at the same rate or not. 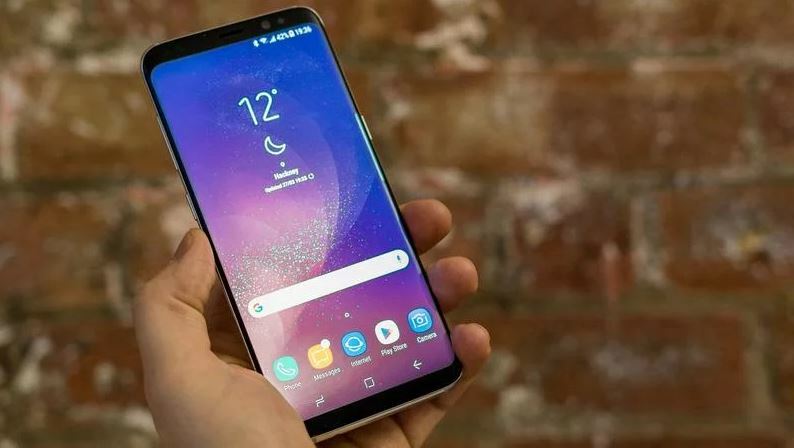 We expect that the issue will not occur while your phone is in this state but if it does, then there may be a problem with the battery or some hardware. In that case, you’ll need to send it back to Apple so it can be checked. If the phone appears not to show battery drain issue after a factory reset, that’s the time that you want to install apps one by one. We don’t know apps you have but if the issue returns after installing all your apps again, you can bet one of them is to blame. In that case, you’ll want to uninstall app individually, making sure to check if the issue happens after each uninstall. This is a tedious process but it’s the only effective way to pinpoint the culprit. If you happen to be using a non-Apple camera app when recording videos, try to force close it first. If the issue persists, try using a similar app or the native camera app. A second possible reason for your problem may be a microphone malfunction. Your iPhone 7 has 4 microphones — two of them are on the side of Lightning port, the other one is on the back between the True Tone flash and iSight camera, and another one inside the earpiece. To see if your phone has trouble capturing sound, refer to the steps we provide for Pawan above on how to test the microphone. If the phone has a microphone problem, contact Apple and have the phone replaced. Solution: Hi Haley. Is there someone else other than both of you that may be able to access your account settings or inboxes remotely? If you’re not paying for your bills, then there may be a way for someone that handles your account to go into your Verizon account or device and change some things. Other than this, we’re just as clueless as Apple and Verizon. Since this has something to do with your network services, we would recommend that you continue to work with Verizon until the issue has been resolved. Make sure that your finger is not wet or sweaty when authenticating. Keep it as dry as possible before placing it over the Touch ID sensor. The Touch ID sensor is composed of a capacitive ring around it and when it senses your finger, it captures an image of your finger. Make sure that your finger touches the capacitive ring around the sensor to increase the likelihood of the sensor capturing an image of your finger. Don’t take your finger too quickly off the sensor. Refrain from moving your finger around when authentication is in progress. If you put your phone in a case, make sure that it does not prevent your finger from touching the capacitive ring properly. Try to delete the current fingerprint and re-reregister it. Be sure not to move your finger when trying to do a re-registration or scanning. Also, make sure that the every edge of that finger is scanned properly. Solution: Hi Melissa. We don’t know the full history of your phone but most display-related problems are caused by bad hardware. If you ever dropped your phone or had it physically impacted before this problem started occurring, you should stop looking for answers. What you want to do is to contact Apple so the screen or the phone is replaced. We’re sorry but there’s no software tweak that you can do to fix a broken screen. If your phone was never dropped or exposed to water or temperature extremes (heat or cold), then there may be an unknown software or app glitch causing it. Kindly visit this post to see if there’s something that you can follow to fix it on your end.